Victory Mines (ASX:VIC) has just added four highly-prospective cobalt projects in NSW and WA. The company has signed a binding agreement to acquire 100% of the issued capital of Cobalt Prospecting (CPPL), a company which owns the four cobalt projects. The project is right next door to Australian Mines Ltd (ASX:AUZ) – currently capped at $272 million, with a defined scandium Resource of 3.14Mt at 434ppm. Also neighbouring VIC is Clean Teq (ASX:CLQ) who already has a 109Mt at 0.1% Cobalt Resource & 28.2Mt at 419ppm Scandium confirmed. CLQ is capped at close to $1 billion right now and VIC is sitting just 5km from CLQ in what looks to be a region that is hosting multiple mineralised systems. VIC’s peer-group in the region have defined JORC compliant resources for cobalt and/or scandium. One tenement, the Husky tenement which is adjacent to AUZ and CLQ’s deposits is similar in geology and metal recoveries for cobalt laterite mineralisation. So Viv is looking for some quick results here. 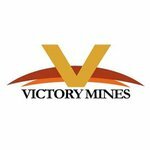 VIC’s current market cap is just $10M – indicating there may be significant growth if the company can identify mineralisation in what is a hotly contested region for cobalt explorers.